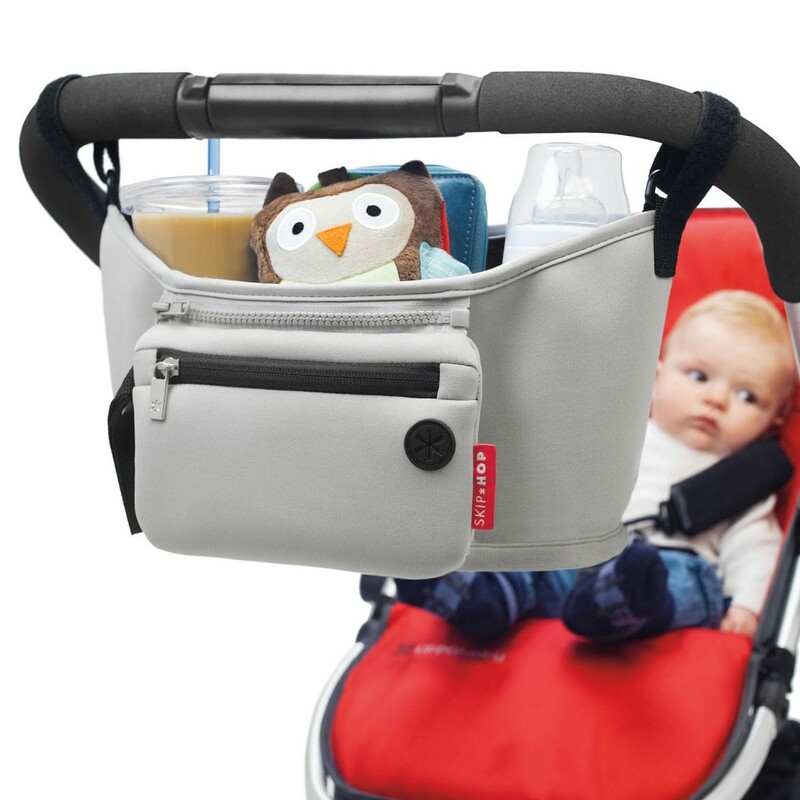 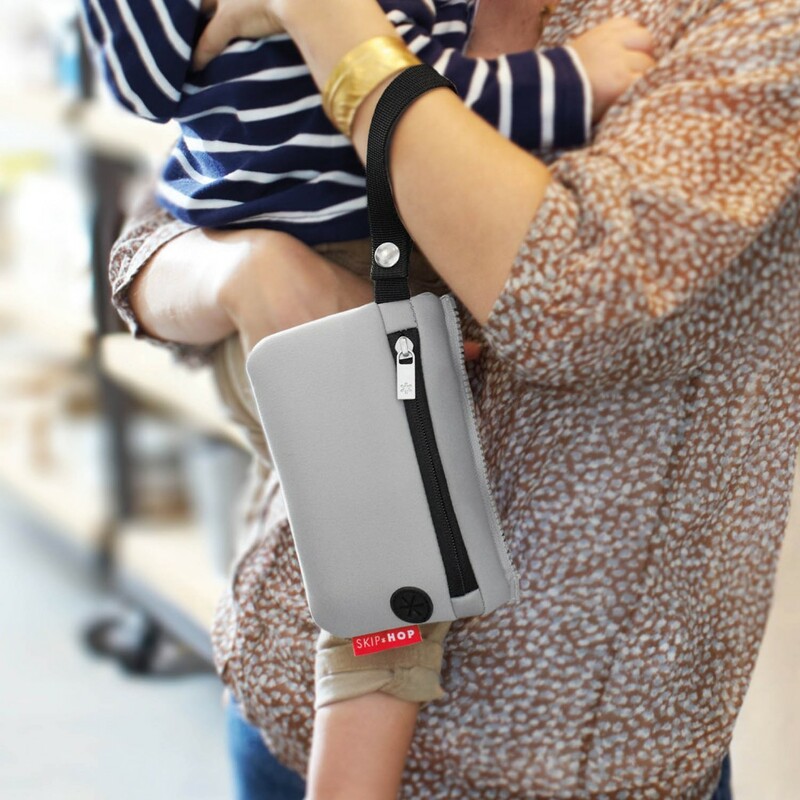 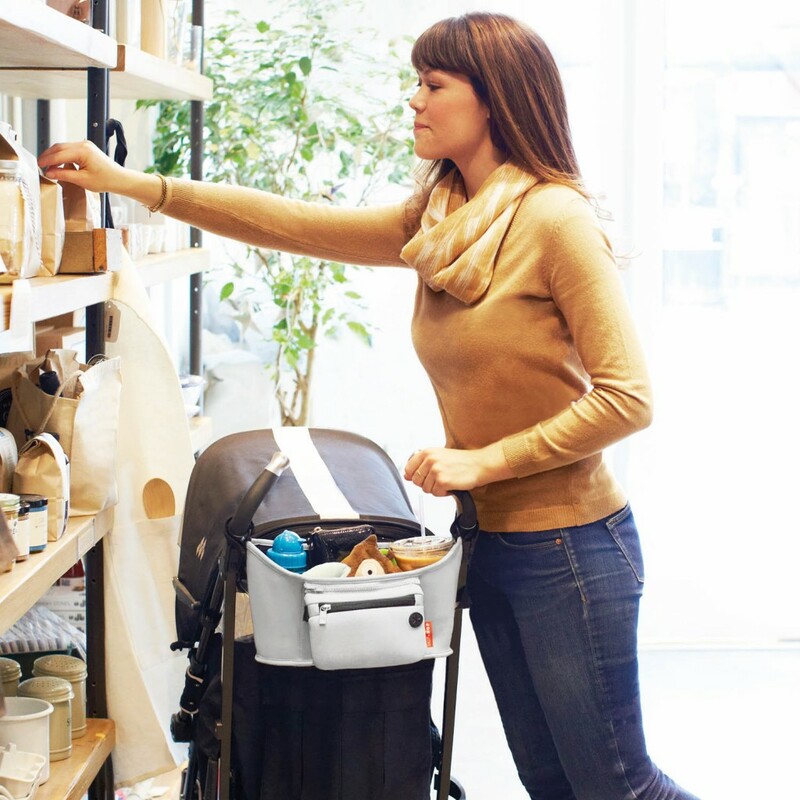 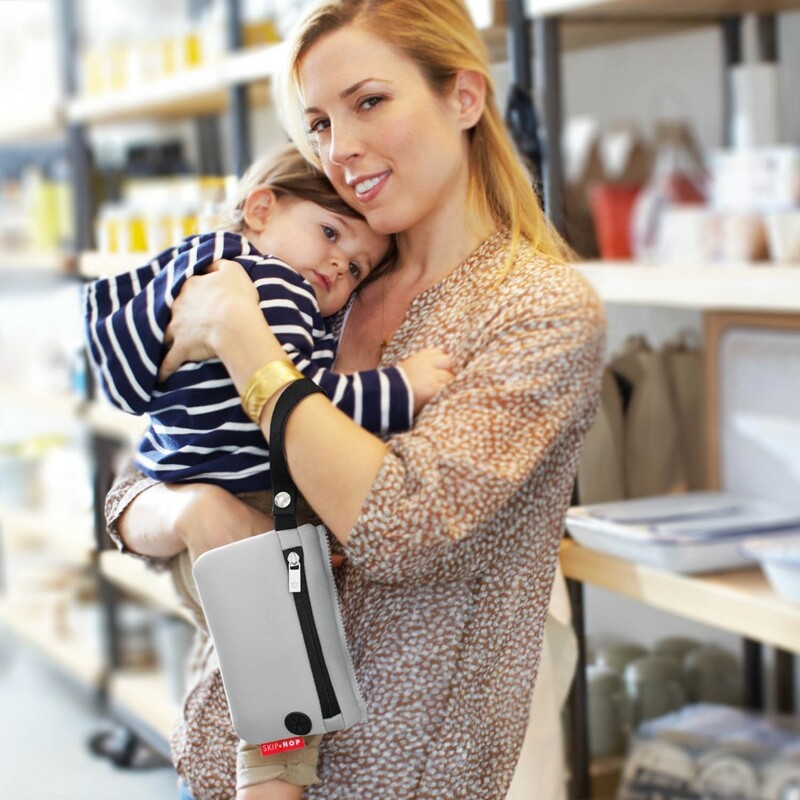 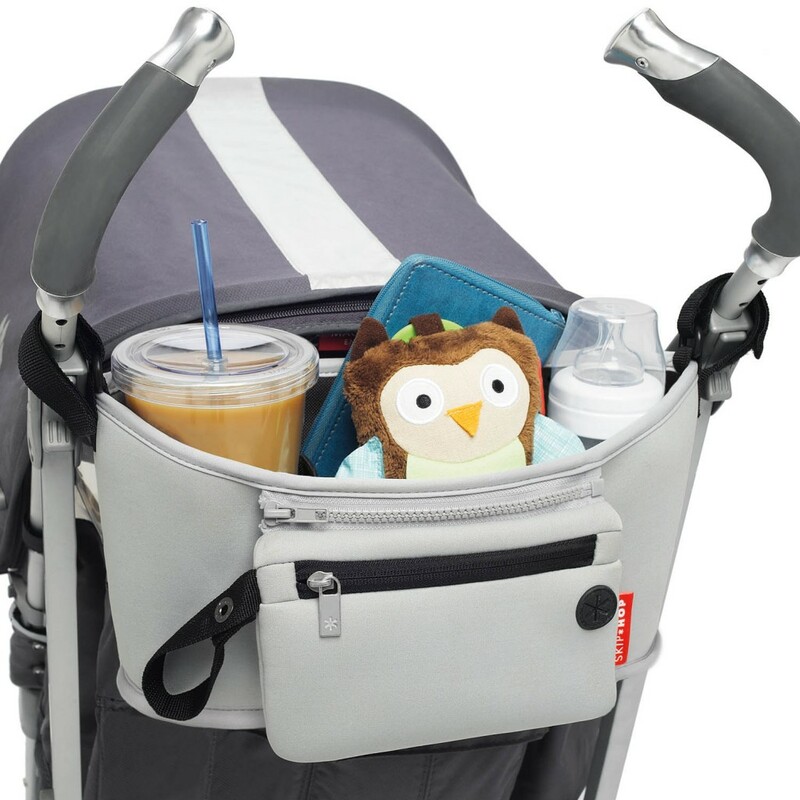 With an adjustable strap making it suitable for stroller handles and stroller bars alike, the Grab & Go Stroller Organiser from Skip Hop keeps all your essentials in their own place and conveniently close at hand. 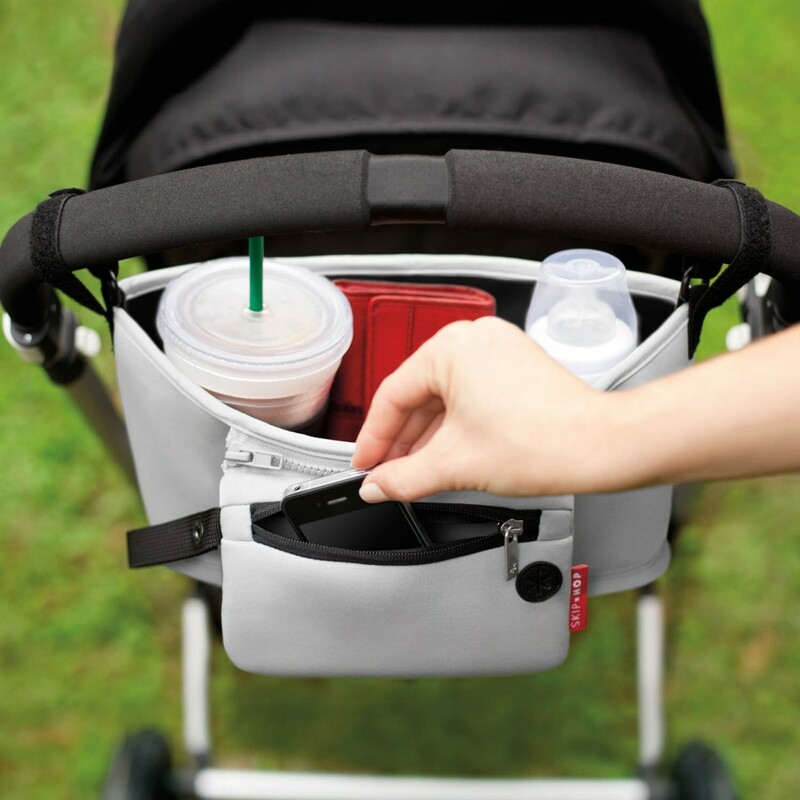 The insulated drinks holders stretch to fit most cup and bottle sizes meaning that you can have baby’s milk bottle and your own cup of coffee ready at your fingertips. 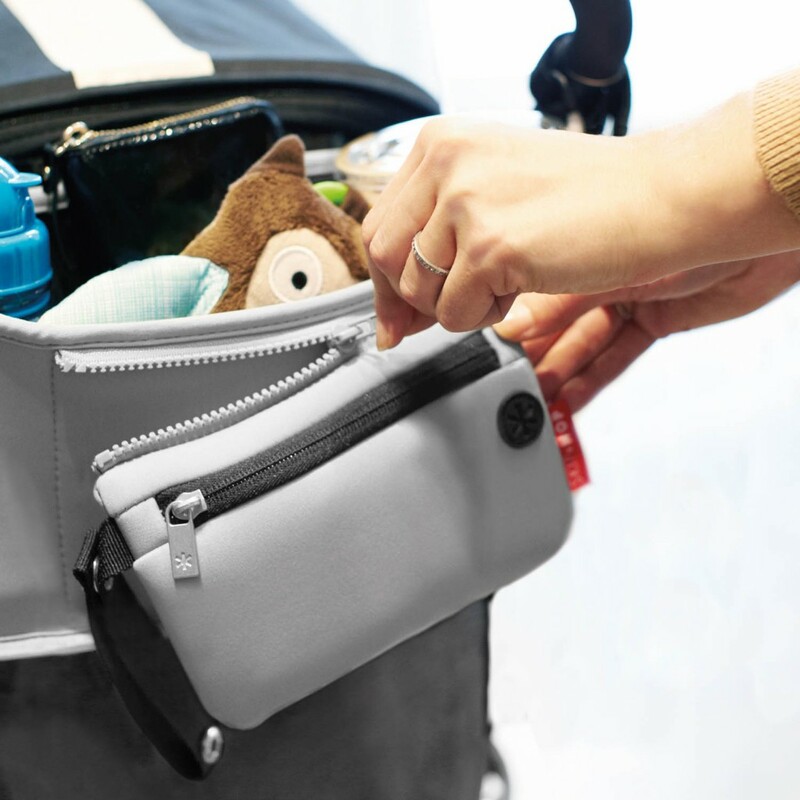 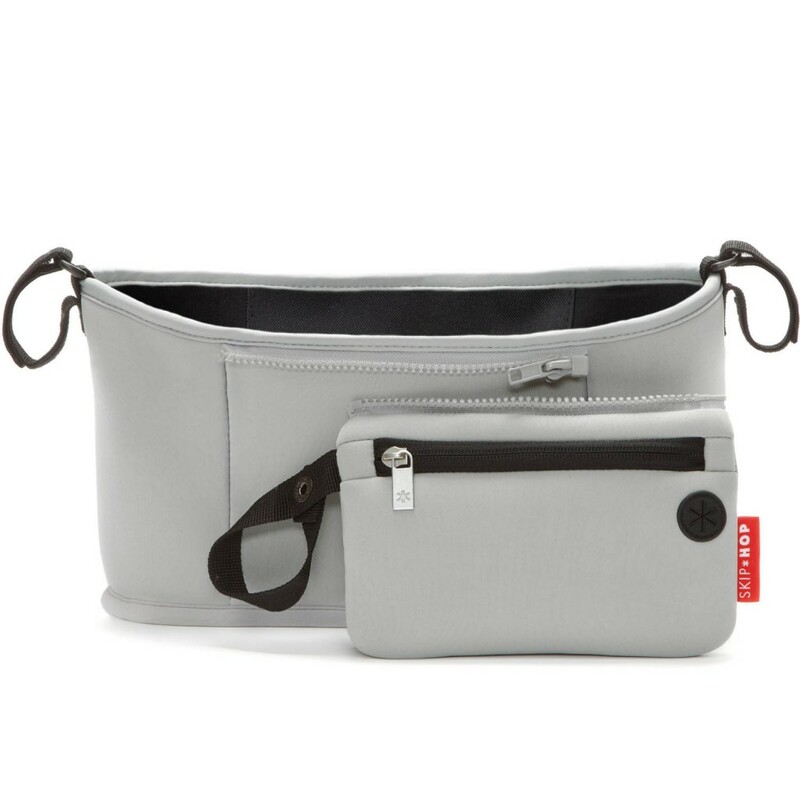 The stroller organiser also comes equipped with a handy opening for your headphones and a stylish zip-off wristlet which can be used independently from the main caddy. 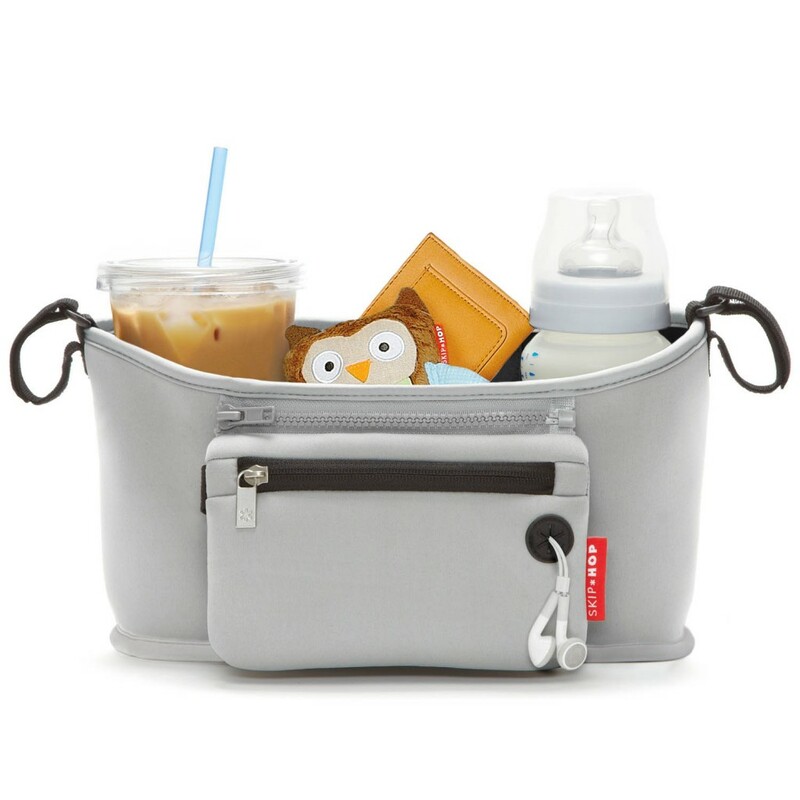 Perfect for running quick errands!